A small sampling of my writing. •All my WSJ Expat Life columns are here. •A random assortment of my work for Guitar World. •My bittersweet final Expat Life column. •WSJ sports story about Kobe Bryant’s reach in China. •A Travel Story I wrote for WSJ: 48 Hours in Beijing with kids. •First-person WSJ account of the Woodie Alan experience. •Sports Illustrated story covering MLB debut in China. •Forbes Woman column about the advantages of being a trailing spouse. Or, what it’s like to be married to a supernova. •I also found a couple of old Entertainment Weekly reviews. You never know what might show up online. 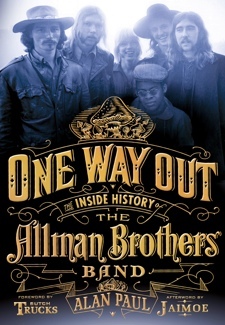 •Massive oral history of the Allman Brothers. March 2009 GW cover story. This huge project really helped me adjust to life back in the USA. •Derek Trucks feature from 2009. First thing I did after returning from China. It felt great to get back in the saddle. 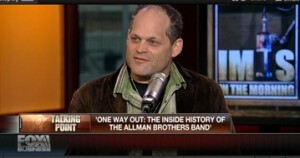 •On the road with Joe Bonamassa, from Feb. 2010 GW. This one was a lot of fun. •Prime Cuts with Lynyrd Skynyrd’s Gary Rossington. •2004 GW feature about old friend Warren Haynes. •1996 Phish feature for GW. Illegally pirated, but happy to see it. •Edited Billy Gibbons interview. Much older than 2009, as listed. •First person Guitar World story about Woodie Alan. •Dennis Johnson, whom I interviewed not long before his far-too-early death. •God Shammgod, whom I caught up with in China. THIS IS ONE OF MY ALL-TIME FAVORITES. •One of my early big gets was Mr. Clutch, Jerry West, who sort of shocked me by calling his career a failure because he only won one ring. •One of the more intriguing and controversial – and intriguing – guys in NBA history, Bill Walton.